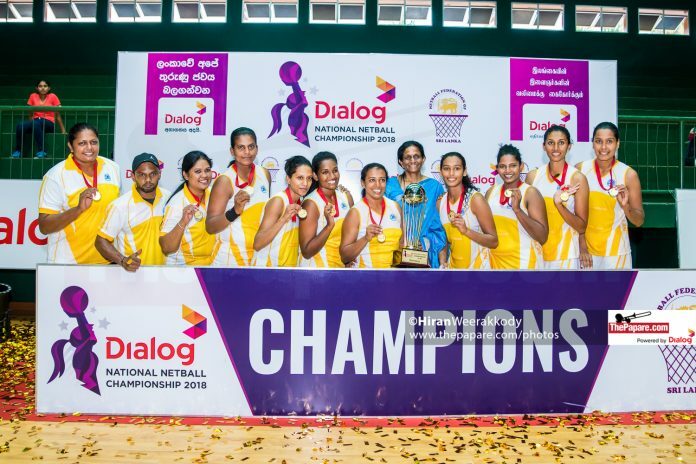 Hatton National Bank (HNB) outclassed and outplayed Air Force SC 47-27 to win the final of the inaugural Dialog National Netball Championship 2018 at the Albert F. Peiris Indoor Stadium, Wennappuwa. Group champs from the four groups, which included HNB, Seylan Bank, Army & Air Force, in round 1 made their way into round 2. 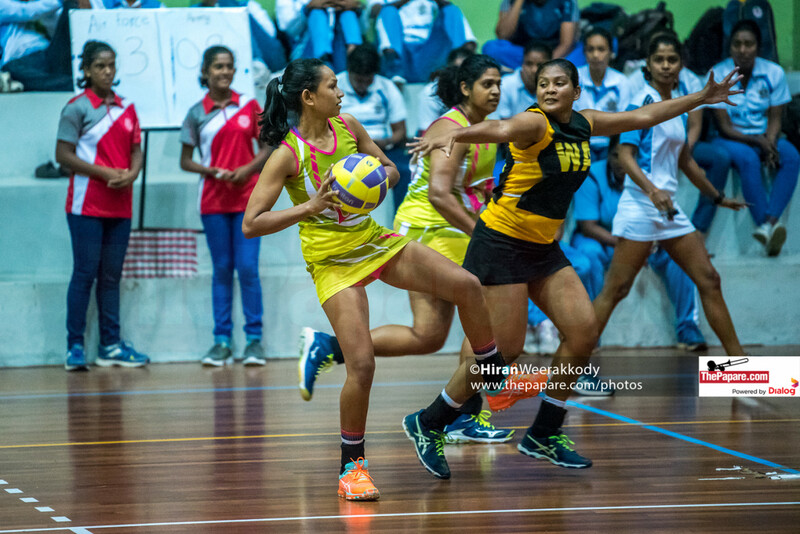 HNB came into the final defeating Army SC 55-41, Air Force 51-41 & Seylan Bank 59-45 in round 2 while Air Force defeated Seylan Bank 64-40 & Army 50-37 to book their place in the final. With both sides littered with national players, it was expected to be a cracking final. It was so in the initial stages with Air Force taking a 0-2 lead. After a slow start HNB got into their rhythm to end the 1st quarter 10-7 leading by three. The match was plagued with missed passes and turnovers especially from Air Force, who looked off colour. HNB’s defensive effort was reflected on the attacking end as they went into half time 22-14 outscoring their opponents in the 2nd quarter 12-7. Already having an 8-point lead HNB continued their dominance to win the 3rd quarter 13-7 as well. The game was all but gone with the scores reading 35-21 and it was a mere formality in the 4th quarter. There too HNB refused to go easy to score 11-7 and win the final 47-27, with a massive 20-point lead. For HNB Darshika Abeywickrama scored 39 from 43 attempts while Air Force had a poor day with shooting scoring their 27-points from 40 attempts. Defensively Gayani Dissanayake, Kumarine Silva and Anjali Ekanayake had a monster games which paved the way for HNB for a thumping win.